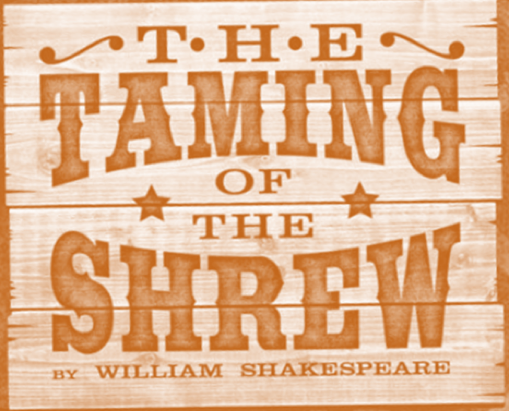 For its 10th annual performance, “Shakespeared!” Youth Theatre Workshop will present The Taming of the Shrew on Friday, June 23rd at 7:00pm in the Hazel Day Longden Theatre of the Putnam County Playhouse. Tickets are $3 for teens/adults (12 and under are free) and will be available at the door. This year’s workshop is once again sponsored by Shuee Furniture & Mattress and a grant from Arts Illiana. Middle schoolers, directed by Tim Good with Eleanor Howard and Beth Bax assisting, will perform their traditionally hilarious version first, followed by the high school group’s Wild West version, directed by Caroline Good with Eleanor Howard assisting. Christopher Douglas and Deja West are serving as this year’s DePauw interns. Both versions, condensed and adapted by Caroline Good from William Shakespeare’s comedy. 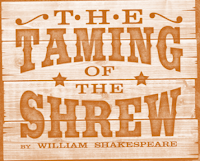 This year’s middle school cast for The Taming of the Shrew: Katherine (Isabella Brown), Petruchio (Rudy Hagen), Bianca (Bella Green), Lucentio (Leo Brown), Tranio (Rebecca Hebb), Baptista (Noah Barnes), Hortensio (Alice Howard), Gremio (Collin Short), Grumia (Dale Dye Thomas), Biondello (Ella Dye Thomas), Curtis (Bijou Champagne), Vincentia (Aleyce Green), Narrator/Lady Merchant (Evangeline Brown), Tailor (Brenigan Warren), Millineress (Gwyneth Stevens), Widow (Samantha Funk), Bianca’s Servant (Lillian Miller), Officer (Mya Weddle), Priest (Henry Cox), and portraying Petruchio’s Servants (Henry Cox, Clay Glessner, Evan Lazar, Logan Warren, Wylan Heller). This year’s high school cast for Taming of the Shrew in the Wild West: Kate (Susanna Howard), Petruchio (Addison Hughes), Bianca (Haley Wilson), Lucentio (Chloe Bodnarick), Tranio (Noah Pettit), Baptista (Devin Huff), Hortensio (Craig Robinson), Gremio (Grant Pettit), Grumio (Michael Thede), Biondello (Isabelle Cafouras), Curtis/Preacher (Samuel Gray), Vincentia (Laney Collier), Lady Merchant (Kaylie Gambill), Tailor/Bartender (Kaylin Cook), Millineress/Schoolmarm (Lily Monnett), Sheriff (Logan Warren), Deputy (Charlie Good), Saloon Girl (Fiona Good), and Kate’s Outlaw Gals (Kaylie Gambill and Jasmine Weddle), and Card Player (Sal Martoglio). Production Team: Lauren Good as Costume Coordinator for both groups; Jon Good as lighting technician and set construction; Linda Gjesvold as set painting. Lighting operators are Stephen Dumbrowski and Christopher Douglas; Sound Operators are Fiona Good and Darvell Barger; and Set Coordinators are Noah and Grant Pettit. The entire “Shakespeared!” experience is designed to challenge the young player and to demystify the bard’s lively text in a fun and engaging way, empowering them with ownership of it. In addition to interacting with Shakespeare’s text and learning the play, the kids will have the opportunity to directly apply instruction in acting technique, movement, voice, improvisation, comedic timing, character development, and subtext.